Last day of winter: Drifting Pleats in the fading light. Another Drifting Pleats scarf. This is the second pattern I have knit three times (the first being Ann Budd’s Ruffle-Rib baby booties). Those conniving ladies at Knit/Purl knew I was good for a store sample. And really, who can say no to baby alpaca? With the twelfth day of Christmas officially drawing the holidays to a close, what say we blog a few more gifts? 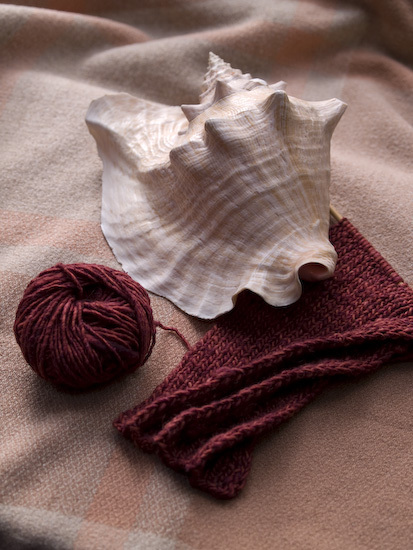 This is The Fibre Company’s Terra in the color Sorrel. 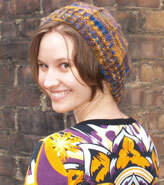 Three skeins is exactly the right amount for this pattern – there were only a couple of yards left at the end. I can’t praise this yarn enough. 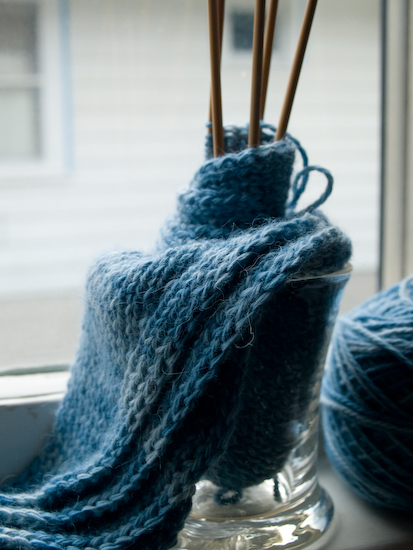 It feels wonderful in the hank, but it’s even better when you’re knitting with it. 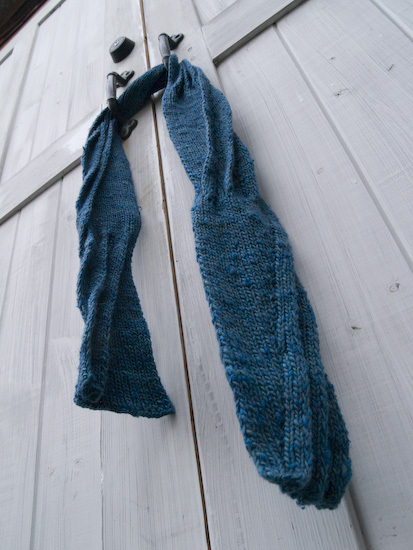 It’s plump and lustrous with silk, but soft with baby alpaca and conversational with merino. Do you know what I mean? 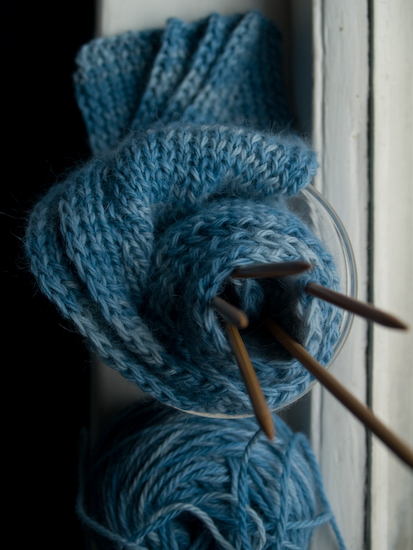 Some yarns feel so interactive, as if they’re having an invigorating discussion with your fingers. Anyway, I couldn’t get enough. And this pattern is such a kick that I found an excuse to drift some more pleats right away. This color is Redwood. I blame these three skeins for pushing me into my love affair with the cinnabar color that left me helpless to resist that bulky wool I showed you last post. 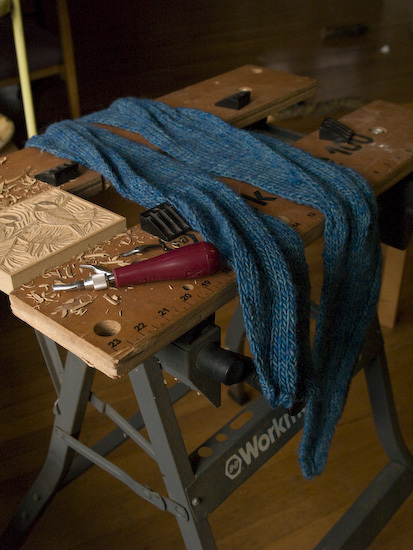 This scarf is now finished — bound off last night and just awaiting some end-weaving and a couple of blasts of steam — and almost ready to leave for its new home. This one is a commission from a friend who wanted a unique, handmade gift for his lady love. I’m a sucker for sentiment like that (and I may have a certain weakness for kind-hearted and extremely handsome men who can bunny-hop the cyclocross barriers), so I told him he could reimburse me for the yarn and we’d call it good. After all, knitting with this yarn is its own reward. Know what? The year is only six days old, and already I’m seeing a trend emerge. 2008 is going to be about the appreciation of special yarns. 2007 was, in many ways, about patterns — mostly the designing of them. 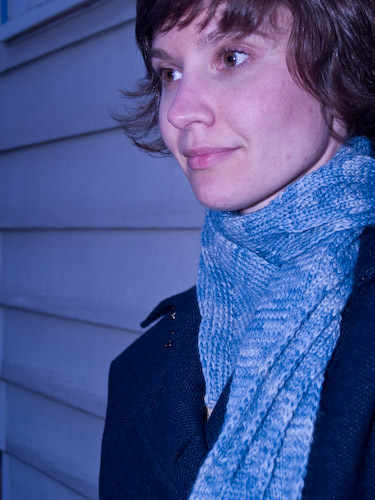 But most of those efforts began with the idea for the garment, and I co-opted whatever yarn seemed like it might suit. 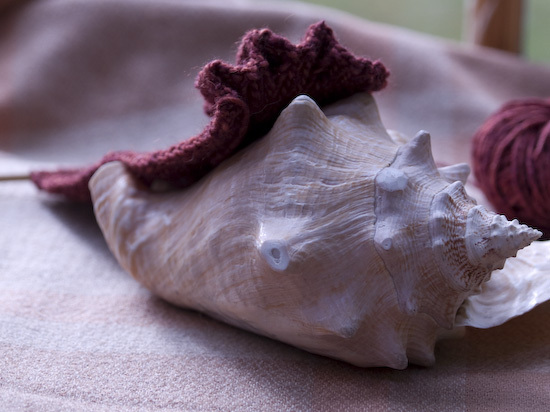 But my new projects are beginning with the desire to transform a beautiful yarn into its ideal knitted shape. It’s a subtle difference, but a whole new challenge. There will still be plenty of design happening at Blue Garter. 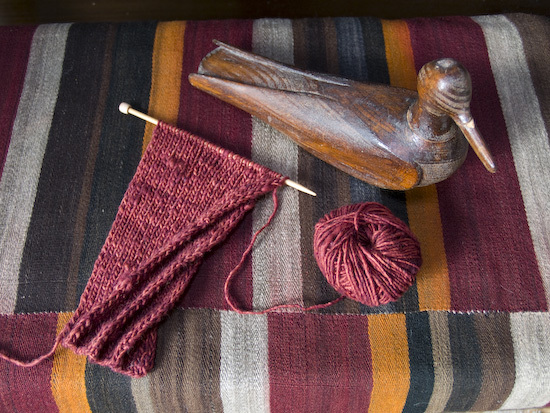 I should be able to show you my Shibui sweater and socks very soon, and I’ve got a new pair of socks on the needles for them for this autumn. And one of these days I’ll properly blog the dainty little Jo Sharp Aran Tweed sweater-in-progress I’m calling Victoria, the pattern for which will be available here eventually. My sketchbook is fat with more ideas. But I’m going to try this year to give some of the special yarns in my stash the attention they deserve. And that, my friends, is as close to a New Year’s resolution as I intend to come.